So you wanna GIT ? Every time you’re asked to submit that crucial programming assignment what comes to your mind after completion of the program ? Uh, not a movie. It’s GIT I know ! So, that’s exactly how you proceed towards storing your lovely little program forever so that you can hug your code every time you miss your ex right? Git is a terrific way to store not just code but almost every kind of file you can think of that can be stored online. It employs altogether a different approach of controlling versions of your files. While other similar tools like SVN are Centralized Revision Control Systems (CRVS), Git employs Distributed Revision Control System(DRVCS). So, every person having access to your repository can clone your code and maintain a local copy of exactly the same data as in GitHub and can make changes locally with full control. So, in some catastrophical situation, god forbid, some client who cloned your code from Peru can help you to recover your data !!! 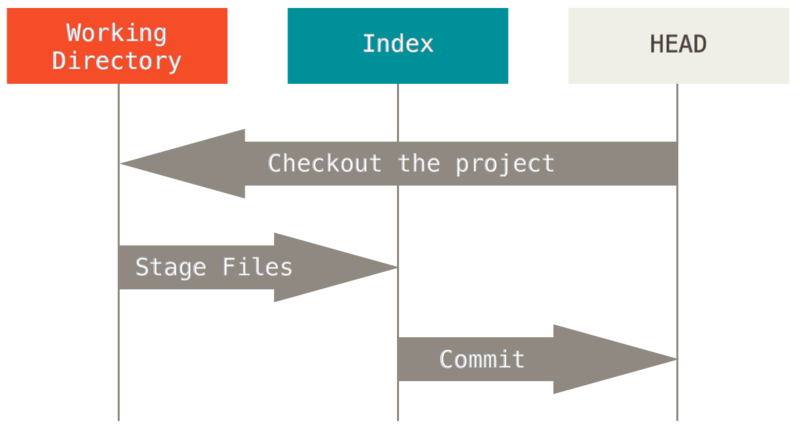 There can be nothing better than Git’s own website but I am here to help you skip some contrived details and dive right into basic usage of Git. Don’t play around with the commands below !!! git reset --hard HEAD~ – Move HEAD to previous commit, Staging area erased, Working directory moved to previous commit DANGEROUS !! !